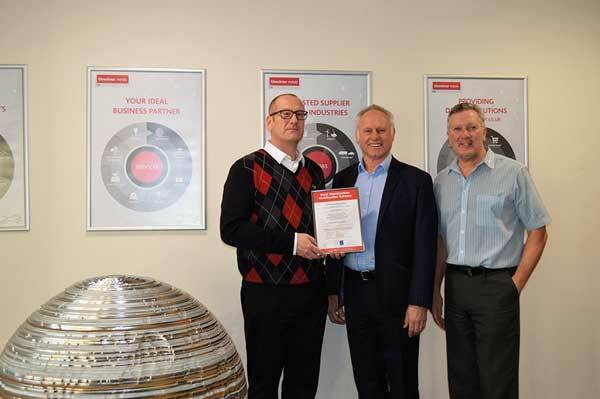 Kloeckner Metals UK is said to be the first UK stockholder and distributer to obtain the ISO 45001:2018 standard with Steel Construction Certification Scheme (SCCS). ISO 45001:2018 is the new international standard for Occupational Health & Safety Management Systems (OHSMS), which this year replaced OHSAS 18001. The standard sets out requirements for companies who wish to create and maintain a safe and healthy environment. Kloeckner Metals UK said it has been preparing for the transition since first being aware of the new standard. The company said greater emphasis on top management leadership, better understanding of risks and company stakeholders, in combination with enhanced health & safety management systems, will allow it to continue to deliver quality products and services in a safe and sustainable manner. Peter Whiting Kloeckner Metals UK CEO said: “Health & Safety is paramount to Kloeckner and we are very proud to be the first stockholder and distributor with SCCS to conform to ISO 45001. The SCCS is a wholly-owned subsidiary of the British Constructional Steelwork Association. It was established in the early 1980s to provide quality management certification for steelwork contracting organisations. SCCS now offers a wide range of certification and monitoring services for the structural steelwork sector, including integrated or separate UKAS accredited Quality management systems, Environmental and Health & Safety management systems, Factory Production Control systems and selected National Highways Sector Schemes.